Easy Keto Egg Salad with Homemade Mayo! Confession: you don’t really need a recipe for keto egg salad. 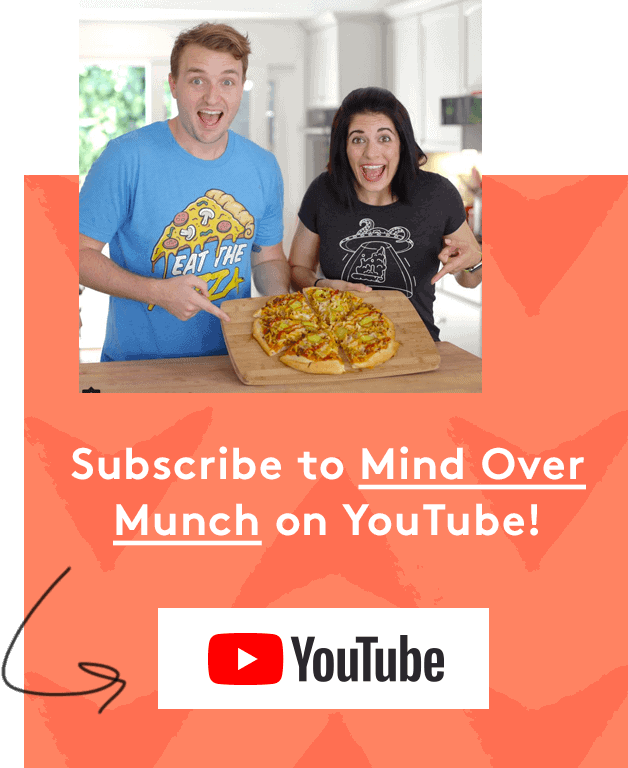 That’s because, if you know how to make a simple, classic egg salad, it’s keto by design! With eggs and mayonnaise as the two main ingredients, it’s naturally high in fat and low in carbs. 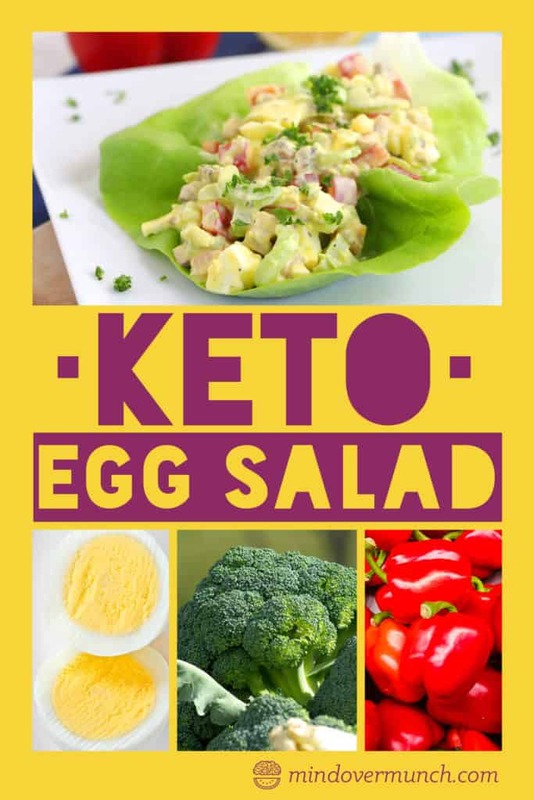 So, what makes this keto egg salad special? 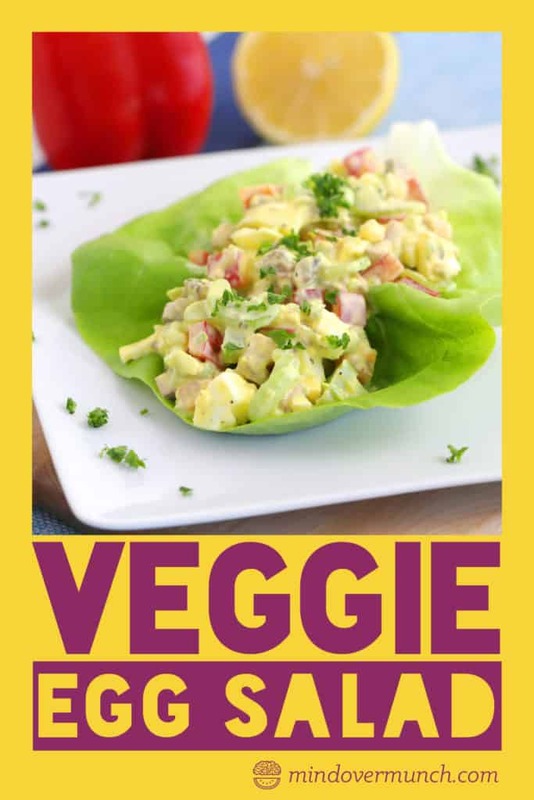 First off, this is a veggie-packed keto egg salad. I’ve bulked up the eggs with tons of wholesome, colorful vegetables for added nutrients, fiber, flavor, and a satisfying crunch. Enjoy it as a deliciously easy keto snack, part of a low carb lunch, or in your next keto meal prep! But, the major difference in this recipe is the mayonnaise. Instead of the ultra processed store-bought mayonnaise—made with inflammatory vegetable oils and questionable for additives—I make my keto egg salad with homemade mayo! Is Mayonnaise Really that Bad for You? In theory, no. In general, mayonnaise is just an emulsion (a.k.a. a mixture of one liquid-y ingredient with another) of oil, egg yolk, and an acid of some kind, like vinegar or lemon juice. 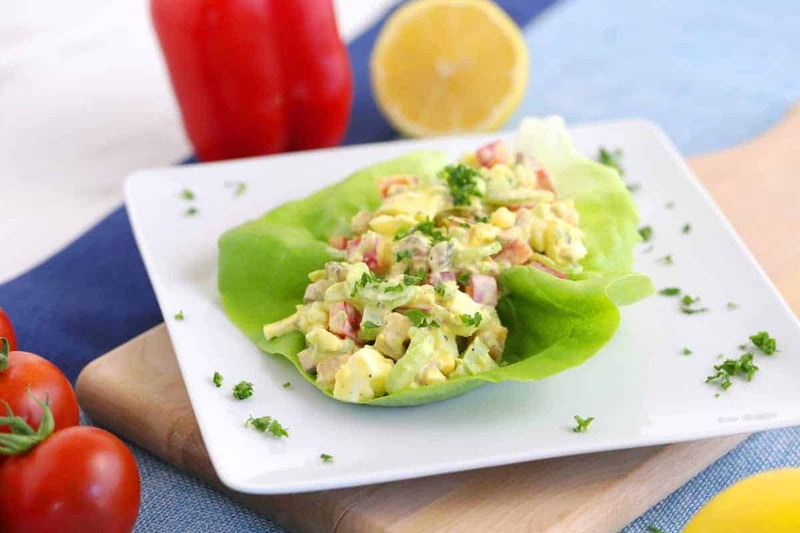 Fat-rich oil + egg yolks = perfect for keto egg salad! Right? 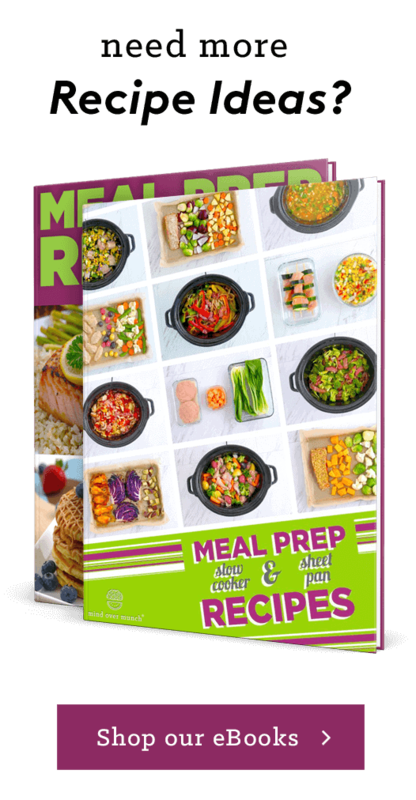 But, as with most mass-marketed, ultra processed foods today, this simple recipe turns into something unhealthy with cheap ingredients and additives. Besides the preservatives and artificial flavorings commonly found in store-bought mayos, most are made with an inflammatory vegetable oil like soybean oil. And, for a truly keto egg salad, it’s not just the carb and fat content that are important. The fuel-filled fats on a keto diet should also come from clean, wholesome sources. In the Western world today, chronic inflammation runs rampant because the average diet is so highly inflammatory. Packaged, processed foods are at the root of the problem—in part because of their refined grains and added sugars. Homemade Mayo, to the Rescue! Instead, you can keep your keto egg salad clean and get your fuel from nutritious fats by using my homemade mayo recipe! All you need are some egg yolks, oil, apple cider vinegar, and an immersion blender. Initially, I designed a homemade olive oil mayo recipe, but you can also use the same recipe to make homemade avocado oil mayo! 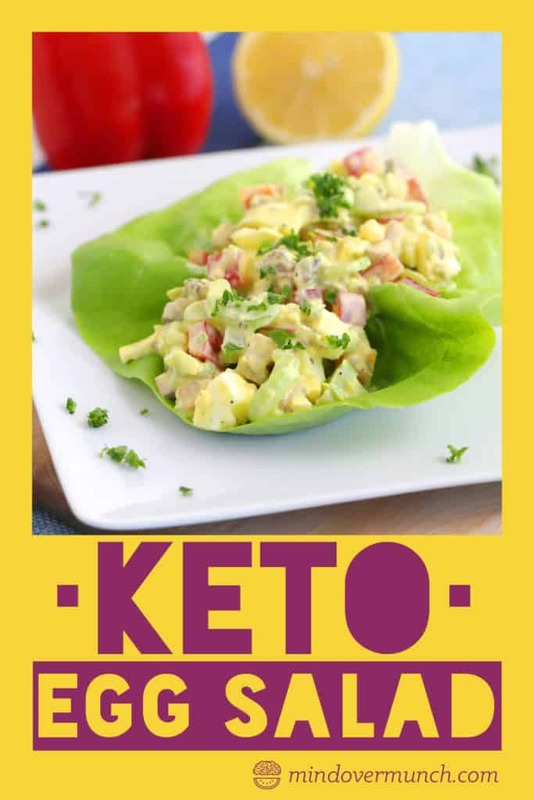 (And, I actually prefer to make avocado oil mayo for my keto egg salad now!) SO simple to make, and much cheaper than buying an olive oil or avocado oil mayonnaise at the store. Now that we’ve cleaned up our keto egg salad with homemade mayo, we can bask in the glory of this recipe’s all-star fuel source: EGGS. For me, boiled eggs are a go-to healthy snack because they’re loaded with protein and actually keep me feeling full. Plus, eggs are also a brain-boosting superfood because they’re one of the best food sources of choline. Choline is incredibly important to our cell membranes, nervous system, and it helps the brain produce signaling molecules. Basically, choline helps make sure that, when our brain sends a signal, our body hears it. 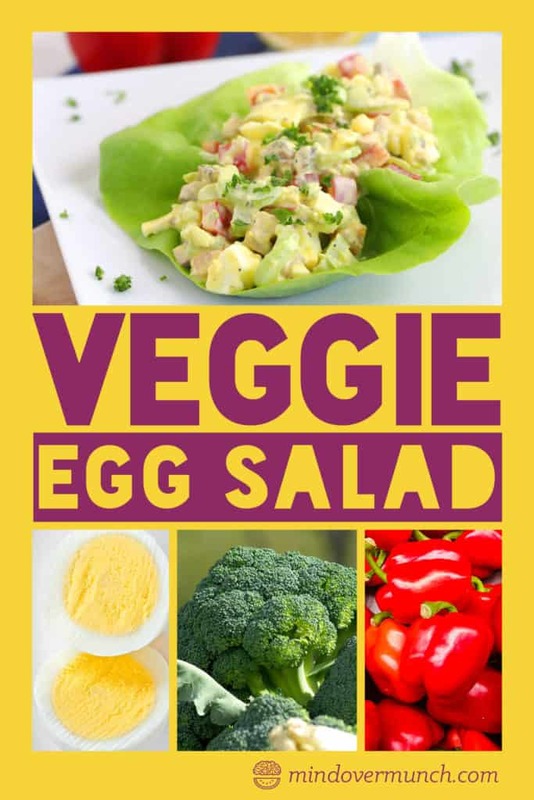 Luckily, in just one egg—and one serving of this veggie-packed keto egg salad—you get around 25% of your daily recommended choline intake! In a large mixing bowl, mash boiled egg yolks. Add mayonnaise and mustard and mix to combine. Season to taste, serve, and enjoy! *Per serving keto egg salad: 1g net carbs.